Exploring new pet sitting software and looking for some information on how Time To Pet compares to LeashTime? This comparison highlights some of the major differences for your clients, your team and for you. If you have any other questions - please don’t hesitate to contact us. Time To Pet impresses your clients. Time To Pet has been built with a major focus on design. What does that mean? Well - when your clients are viewing the system - it is aesthetically pleasing, it flows and it doesn’t give them a headache! 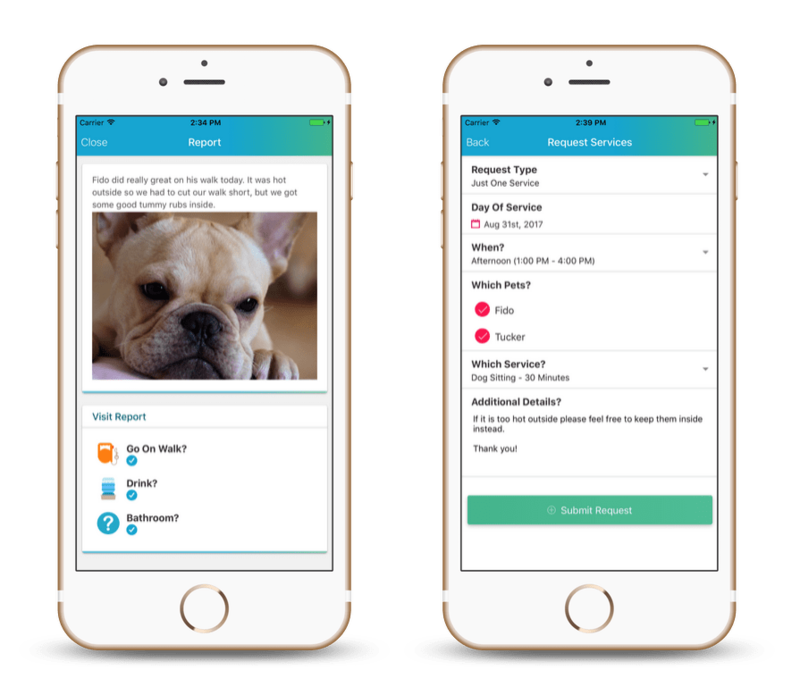 We’ve worked really hard on making our pet sitting software platform as simple to use as possible while not skimping on any of the features - including text messaging, Quickbooks integration and more. Time To Pet is easy to view and easy to use. Scheduling events for your clients should be simple. That’s why we’ve built a modern calendar platform that mimics some of the most popular calendars today. 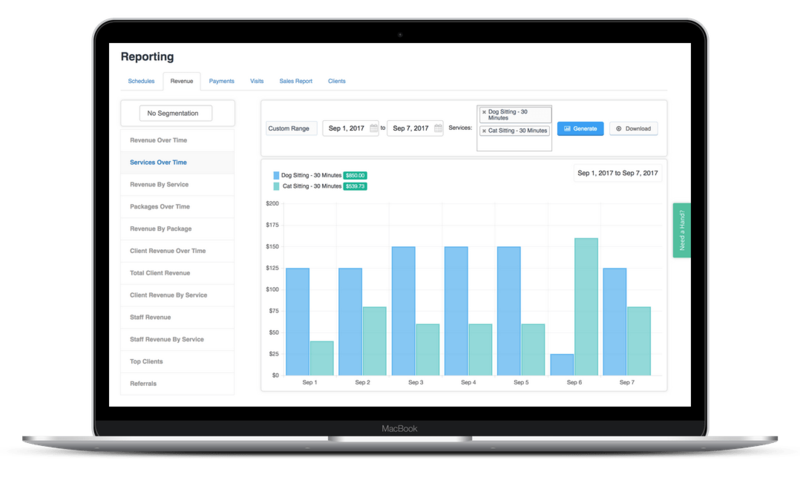 Invoicing is integrated directly into scheduling which means you never need to double enter events. Time To Pet’s mobile application makes the day to day activities for your staff as simple as can be. They can view all the information they need, when they need it. Time To Pet has the features you need. In addition to all of the standard features you would expect, Time To Pet provides advanced features like text messaging and Quickbooks integration. Text messaging allows you to deliver all messages to your staff and clients as regular texts. They can respond via text message as well! Quickbooks Online integration allows you to push all invoices, payments and even new clients created in Time To Pet directly to your Quickbooks Online account. Time To Pet’s billing is fair and easy. Time To Pet only bills you for staff that were active that month. That means if you have 6 staff members - you aren’t in the 6-10 range and forced to pay for all 10. You will only be billed for those staff that actually worked. Our pricing includes all features including our Quickbooks Online integration and text messaging. There are no billing surprises and your software grows as your business does. Time To Pet goes the extra mile. We understand how important it is to be able to get in touch with a real person when you have a question. That’s why Time To Pet is committed to customer support. We use customer support as a tool to make sure our client’s are successful with our system. Time To Pet is always looking to improve our product as well. 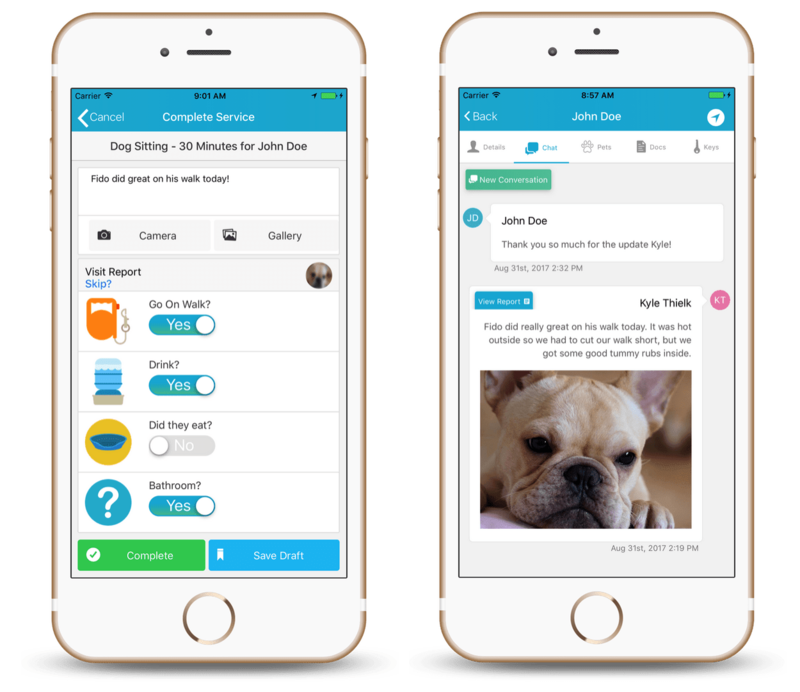 Our customers are the best source of new ideas and features that help build the industry leading pet sitting software system.